Product Overview The EK-Vector high-performance water block is specially designed for multiple NVIDIA® GeForce® RTX Turing based graphics cards. The water block itself uses the signature EK® single slot slim look, and it covers the entire PCB length. This sophisticated cooling solution will transform your beefy graphics card into a minimalistic, elegant piece of hardware. The block also features a unique aesthetic cover over the block Terminal which is designed to reveal the graphics card model, visible from the side. 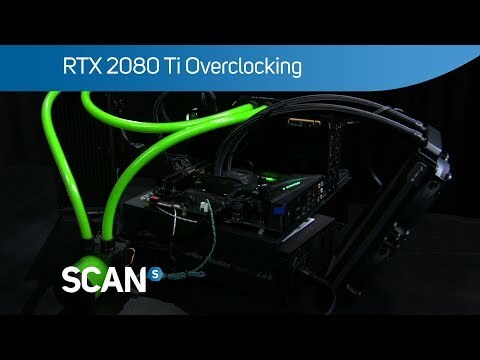 • NVIDIA® RTX 2080 Ti Founders edition factory backplate is not compatible with this water block! • The NVIDIA® NVLink is compatible with this water block. Features • Designed for all reference design based GeForce RTX 2080 Ti graphics cards. • High-quality Acrylic Glass top. • EK-Vector series high-performance water block.